Interos' platform delivers AI-driven insights to help F-35 supply chain team optimize decision making, realize new operational efficiencies, and mitigate potential risks. 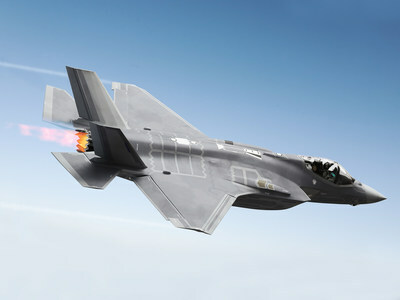 WASHINGTON, April 17, 2019 /PRNewswire/ -- Interos Inc. (www.interos.net), with the world's leading supply-chain assurance platform, has received a contract award from the F-35 Joint Program Office ("JPO") for Supply Chain Risk Management. The F-35 JPO manages a global supply chain comprised of thousands of companies in multiple tiers from around the world, including the United States and the program's 12 international allies. Interos delivers a turnkey supply-chain assurance platform that brings transparency and added mission readiness, on day one of the contract. Through SaaS-based, artificial intelligence (AI) technology, Interos identifies and visualizes patterns from real-time events, such as geopolitical, day-to-day business operations, financial markets, regional conflict, and acts of nature. Interos gives any organization the capability to see clearly and act confidently on potential ripple effects -- good or bad -- throughout their global supply chains. 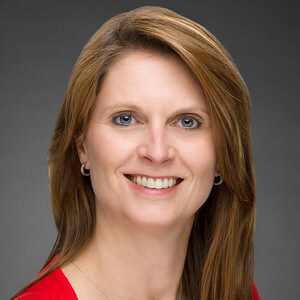 The start of Interos' work with the JPO coincides with Supply Chain Integrity Month, an effort by The Cybersecurity and Infrastructure Security Agency (CISA), the Office of the Director of National Intelligence (ODNI), and the Department of Defense (DoD), which are partnering to promote the importance of supply chain security and risk management. "Multiple tiers of unknown suppliers, complex business relationships, and global events represent both risk and reward scenarios for any global supply chain," said Jennifer Bisceglie, CEO of Interos. "Through the power of the Interos platform, we look forward to supporting the F-35 JPO to identify and act on potential opportunities and risk." Interos Inc., (Interos.net), with the world's leading supply-chain assurance platform, delivers data and analytics that allow business leaders to identify, visualize and act confidently on the ripple effects that could impact their supply chains, before they happen. Using billions of real-time inputs from 85,000 live aggregated sources worldwide, the Interos AI platform reveals new risks and opportunities by modeling positive and negative interactions and outcomes, and measuring supply chain health. Located in Arlington, VA, Interos is a 14-year-old privately held company with commercial and public-sector customers in finance, consumer products, food, defense, intelligence, manufacturing, retail, and technology.